Help us ensure the safety of everyone playing cricket and give us evidence to get problems fixed through council by completing a health and safety report after each game. Together let’s be diligent about our players’ safety and facility upgrades. 1. 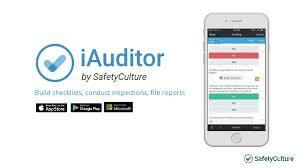 Download the iAuditor app for iPhone or iAuditor for Android to your smartphone. 2. Create an account by entering email and password. 4. “ECB Cricket Safety” check should show in the results, please add this to your templates.